Warren Buffett is an investment guru and one of the richest and most respected businessmen in the world. Buffett’s father Howard worked as stockbroker and served as U.S. Congressman. Warren often visited his father’s stock brokerage shop as a child, and chalked in the stock prices on the blackboard in the office. He is the chairman, CEO and largest shareholder of Berkshire Hathaway, a diversified company with major interest in GEICO, life insurance, annuity sales and sales of jewelry. Berkshire Hathwaya wholly owns GEICO, BNSF, Lubrizol, Dairy Queen, Fruit of the Loom, Helzberg Diamonds, FlightSafety International, and NetJets, owns half of Heinz and an undisclosed percentage of Mars, and has significant minority holdings in American Express, The Coca-Cola Company, Wells Fargo, IBM and Restaurant Brands International. In June 2006, Buffett made an announcement that he would be giving his entire fortune away to charity, committing 85 percent of it to the Bill and Melinda Gates Foundation. This donation became the largest act of charitable giving in United States history. He was ranked as the world’s wealthiest person in 2008 and as the third wealthiest in 2015. 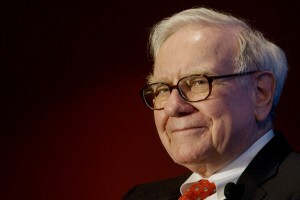 In 2012 Time named Buffett one of the world’s most influential people. You can buy the books from the amazon store from the links mentioned above.